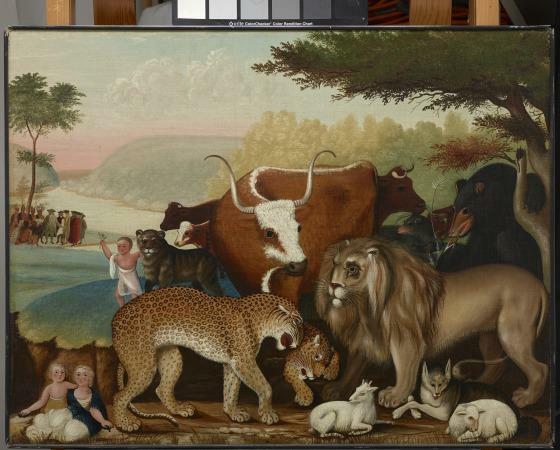 During the last thirty years of his life, the Quaker sign painter–turned–painter Edward Hicks created more than one hundred versions of this subject, an allegory of spiritual and earthly harmony based on Isaiah II: 6-9: "The wolf also shall dwell with the lamb, and the leopard shall lie down with the kid; and the calf and the young lion and the fatling together; and a little child shall lead them." 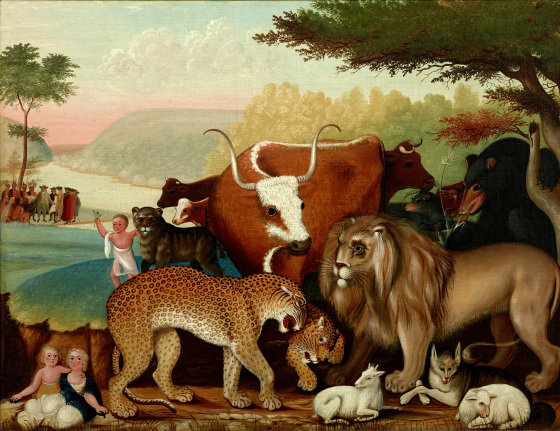 Hicks closely followed the spiritual description but added imagery symbolic of Quaker belief and Pennsylvania history. 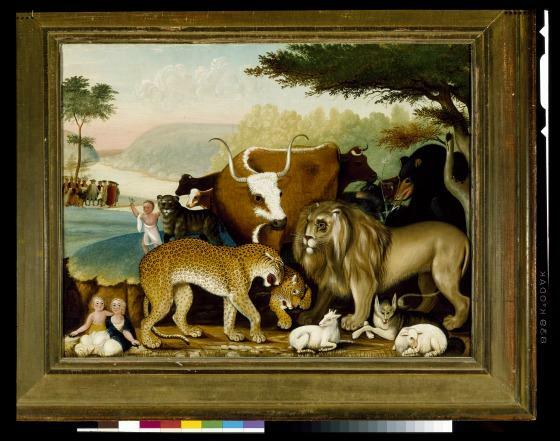 At the left side of this painting, William Penn signs a peace treaty with the original Native American inhabitants of the Delaware Valley—a historic model for the possibility of peaceful coexistence. 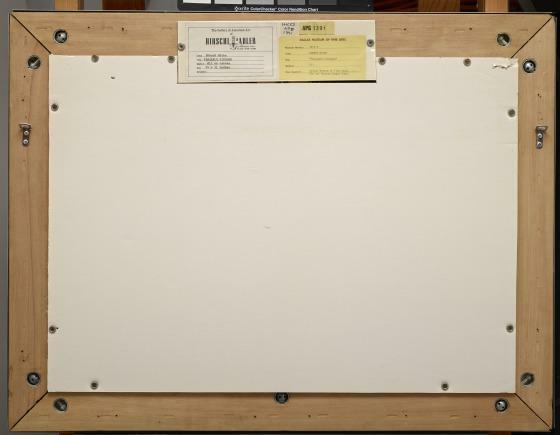 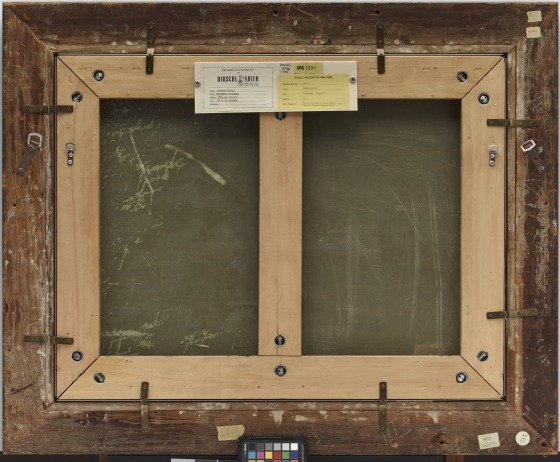 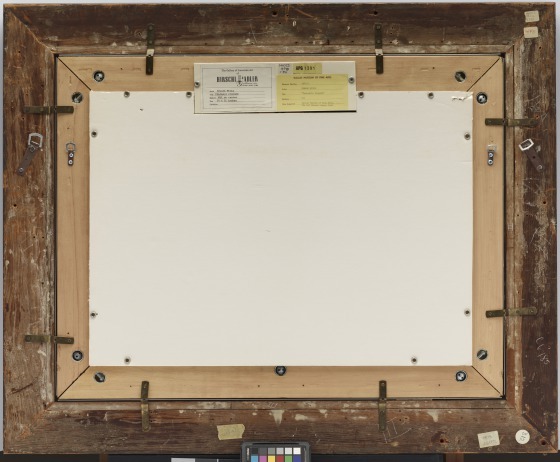 William Keyse Rudolph, DMA label text, 2006. 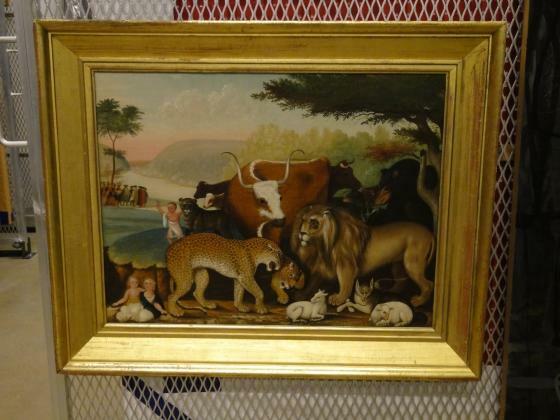 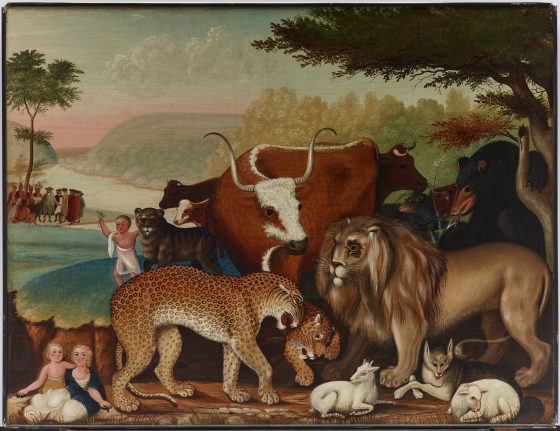 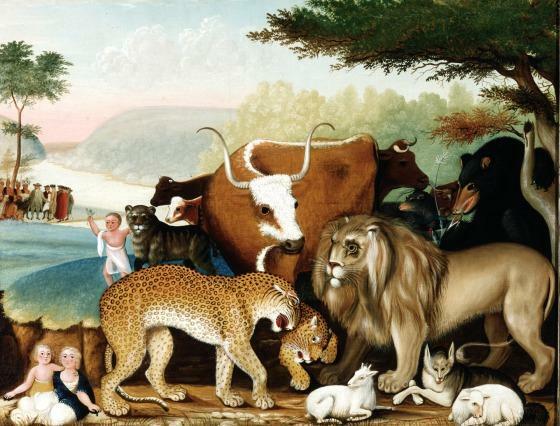 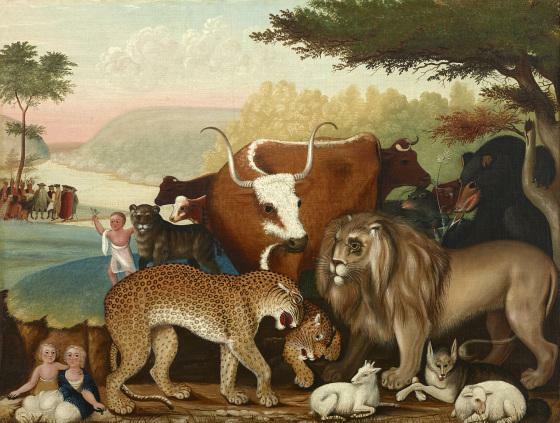 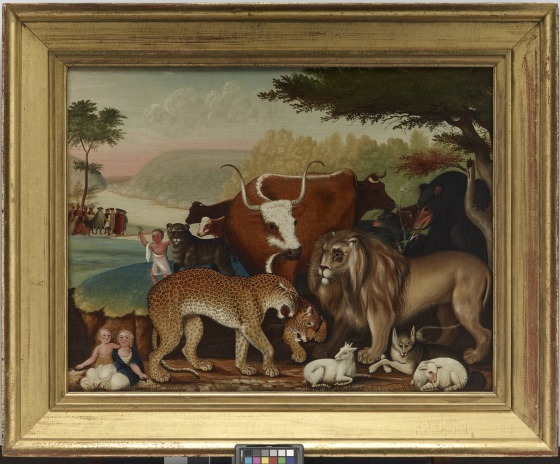 Examine a work similar to The Peaceable Kingdom by Edward Hicks entitled Peaceable Kingdom of the Branch. 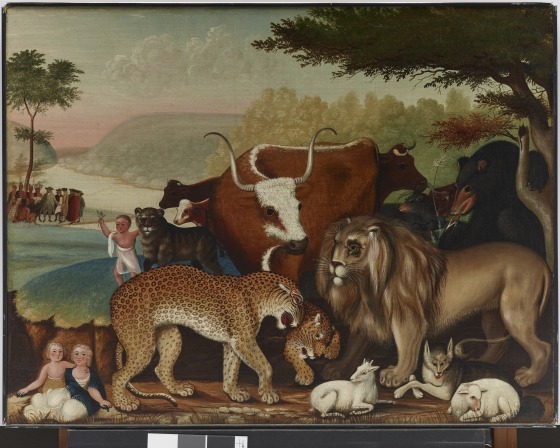 Watch this short video about The Peaceable Kingdom presented by the Amon Carter Museum of American Art, Fort Worth.